UK parcel delivery firm Yodel aims to wrap up a comprehensive digital transformation programme to reduce its IT spend and introduce faster routes to technology-led change. Since joining the business in 2014, chief information officer Adam Gerrard has been making progress in changing an inherited IT organisation he describes as “quite sleepy” and mainly focused on looking after legacy systems using waterfall-style operations with protracted timescales. “What we’ve done in the past two years is transform the IT team and some of the underlying technologies, so we’re a much more agile and focused delivery team dedicated to making us a much more agile business,” Gerrard tells Computer Weekly. Gerrard has changed the way team resources are allocated. Where previously a high proportion of staff in IT were supporting legacy systems, the balance is now nearer 50/50 between servicing the existing base and building new capabilities. He wanted to ensure that new systems are built more quickly. Agile methodologies were introduced by recruiting senior professionals and the whole organisation now works that way – including staff focused on legacy IT. Yodel, one of the UK’s largest couriers alongside Royal Mail, invested £10m in IT last year and this will increase to about £20m. Over four years, the business will have spent £30m on reinventing its infrastructure and replacing legacy systems with a new digital set-up. “I think we have spent just over 25% of that £20m to date, so it’s likely to be £15m over the next 18 months,” says Gerrard. “And then the question will be: what do we do next? While these debates are yet to take place with Yodel’s executive team, the CIO stresses that the current focus is on delivering the technology change programme within the next 18 months. Yodel’s plan to overhaul its IT infrastructure has been largely completed. It involved a refresh of end-user computing devices, the wide area network, datacentres and servers, and the introduction of cloud computing. Over the past 12 months, the company has opted for Cisco FlexPod, a converged system with Cisco servers and networking, plus NetApp storage. Gerrard says this allowed the team to build a flexible, private cloud environment. Integration to public cloud providers such as Microsoft Azure and Amazon Web Services were also part of the update. “We are looking into how to scale the technology into the public cloud as and when necessary, so that we only need to scale the [private] cloud set-up to cater for average transaction size and volumes rather than building for a four or five-week peak period,” says Gerrard. The company has also introduced Microsoft Azure, Office 365 and Windows Surface Pro 4 devices with Windows 10. Azure supports some storage needs and applications such as Yammer, plus other office services. Yodel has not adopted a one-size-fits-all model for its user devices. Depending on their role, users have either a thin client using Windows services, or a desktop for more static, hardwearing environments. Surface Pro is the most common option, also catering for mobile workers. The courier refreshed its wide area network with an IBM provider, moving from two datacentres to a single UK site with cloud-based disaster recovery services. “We’ve done a lot to adopt the principles of cloud while still retaining some of the controls you get from having your own equipment,” the CIO says. Before the infrastructure changes, Gerrard says that 12 months ago, on its busiest day, Yodel saw backlogs of files of up to 21 hours, where data was queuing up to be processed by the legacy systems. “If we were to scan a parcel with a handheld device, it could take around a day to float around those systems,” he says. Yodel is now focusing on a revamp of its applications estate. It is looking to replace half its systems, some of which are more than 30 years old. But for what Gerrard describes as “basics of the back office”, such as content management, finance and HR systems, it will not use the service-oriented architecture (SOA) approach employed elsewhere and will tend to go for off-the-shelf options. “We’re talking about [replacing] applications that are very specific to our operation,” he says. “Having looked at off-the-shelf products that are available in the market for logistics providers, none has been a very good fit in terms of a match to our requirements. Gerrard says application updates will help drivers to be more efficient in their roles, using mobile apps to support them. “We currently have specific applications that are quite clunky,” he says. “It is the norm in the industry, but we’ve got some exciting ideas as to how we can make changes there, again driven by the SOA programme. The app work will be the biggest area of focus for Yodel’s 200-strong IT team, which will soon be augmented with external providers. Yodel’s past reliance on ageing legacy systems also hindered plans to improve the IT team’s skills base. “We’ve recruited good digital people in the past, but made it a very difficult place for them to work, where it wasn’t always easy for them to be able to get market solutions that they could envision were great for Yodel,” says Gerrard. A recent example is Yodel’s consumer app, whose features include Driver Countdown, a function that tells customers how many more parcels need to be delivered before the driver reaches them. “That’s been incredibly well received by the consumers, as they can see that if they are number 85 on the current delivery tour, they know there’s a good chance that delivery is not going to happen for a couple of hours, whereas if they are at position four, their item is about to arrive,” says Gerrard. “One of the problems we’ve had in the past is people could be in their back garden or have the vacuum cleaner on and not be able to hear the doorbell. So there are lots of challenges in being able to deliver a parcel. Even though Yodel’s SOA approach consumes a lot of the IT team’s resources and energy, Gerrard considers that as an enabler to other, more valuable, technology-related work. To that end, the CIO is looking into how Yodel can use cognitive intelligence to enhance data use and help drive better decision-making. “There are quite a lot of retailers using cognitive technology and it seems to be a growing trend, as well as something we could potentially do quite quickly,” says Gerrard. It is not always the catwalk where the biggest trends in fashion take place. Tech is driving fashion today, says Yoox Net-a-Porter Group CIO Alex Alexander. CIO interview: Ian Fisher, CIO, DHL UK&I – the logistics giant’s CIO talks about bridging the gender gap, emerging technologies and driving innovation. 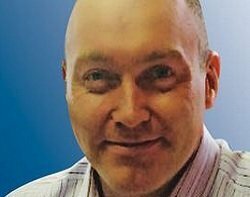 Retailer Travis Perkins’ largest IT transformation programme to date is a challenge CIO Neil Pearce is more than happy to take on. Gerrard says the company is fortunate that, just over two years ago, it started a large data project to centralise onto a single system – Teradata. The project allows a robust view of a “very significant” proportion of data within Yodel, he says. “It is by no means 100% full in terms of the data that could go in there, but we have a continuous development programme to try to make sure we put more and more data into that Teradata solution,” says Gerrard. Yodel is building a dynamic balanced scorecard that the entire business can use. This will allow anyone to understand the current situation against performance indicators, and drill into the detail as well as find useful data to improve scores if there are anomalies. “Those kinds of thing are driving a lot more questioning around how we can better use data and get more data into operators’ hands to support better decision-making,” he adds. One of the main objectives for Gerrard after joining Yodel was to reduce the company’s IT spend. In his first 12 months in the job, cash spend on IT shrank by 20% and in his second year, with more people coming on board, a greater remit and responsibility, spend was reduced by a further 10%. Now Yodel is in a position where it is not that important how much is spent on IT – the focus is more on outcomes and how much they will cost. “We’ve got to a position where IT is now efficient and we’ve taken away the wasteful elements and rationalised the team structure, which is now cohesive with great people in it,” says Gerrard. Within a year, Gerrard hopes to have made significant progress on removing legacy systems from Yodel, and innovation will continue instead of stopping the business for a period of time while legacy replacement is carried out. Great to see Yodel doing well, with continuous technology change and innovation at the heart of its business model.